Lots of people become victims of criminals who scan their card information using special devices (skimming) and then steal their money. 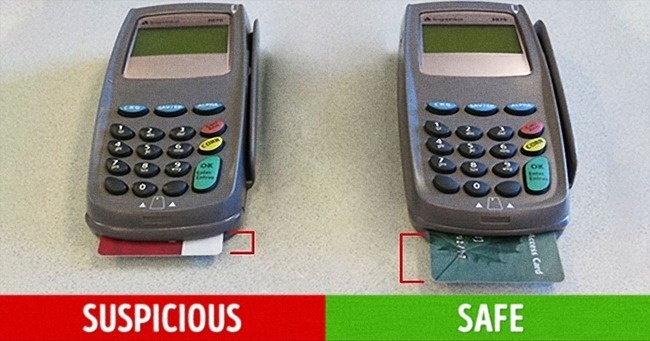 Today, even when you use your card at stores or restaurants, you can fall into a trap. 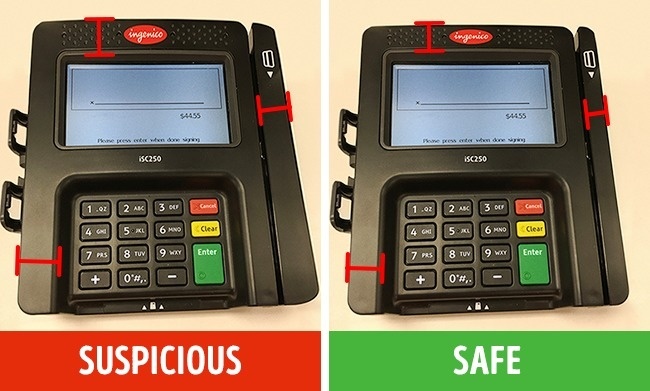 Ingenico, a credit card terminal manufacturer, recently issued a guide on how to identify a skimmer in a standard terminal (Ingenico iSC250). We agree that everyone should find such information useful. A skimmer should be longer and wider than the terminal itself to correspond to its size. That’s why a skimming terminal is noticeably larger than a true one. This is the principal feature that helps recognize fraudulent devices. A skimmer that was inserted too quickly may block the button highlighting on the terminal. An attachable skimmer also blocks the green LED light that should be on when the terminal scans a card. Skimmers sometimes get in the way of the magnetic strip when they scan data. This results in more operation errors and significantly slows down the normal workings of the terminal. So pay attention if a terminal operates much slower than it should. All payment terminals have a stylus attached to them that clients use to enter their signature after their card has been scanned. 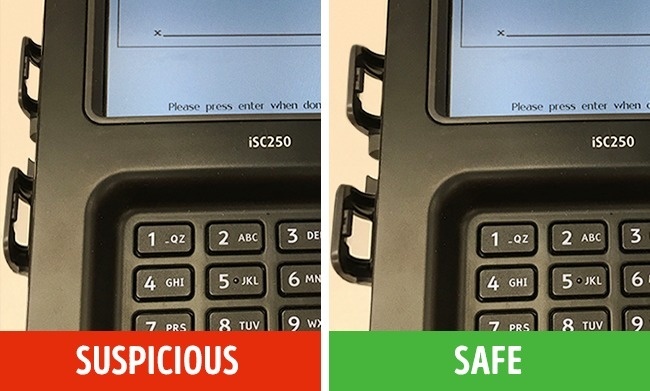 A skimmer inside an iSC250 doesn’t allow the stylus to be attached. The most effective way to protect yourself from fraud is by having a separate debit card that would only have the sum you need for a purchase at hand. Connect to the SMS banking service to promptly react to unexpected debits. Set limits and limit cash withdrawal amounts, and the criminals won’t be able to withdraw all your money at once. If you have lost your card and you think someone may have learned its details, immediately call your bank and block it. It’s also good to learn about card insurance capabilities and terms with your bank. Some credit organizations have special programs for protecting their clients from fraud and reimbursement of damages. When you pay with your card in a store, make sure that the employees do not take it away from you. If you pay in a restaurant, don’t let the waiter take away the card — they can skim it discreetly. Demand that all the operations be carried out in your presence. 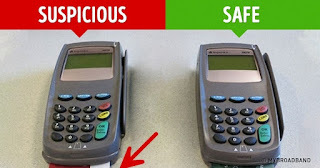 Read the receipts carefully after paying with your card. The field with the paid amount must not be empty.